The search engine giant is deeply embedded in our lives. You will encounter Google-related services anywhere you are in the web. Other search engines still struggle to get a piece of the search results market. However, there are also instances in some countries where the search results market is dominated by the local search engines. Maybe the others – Bing, Yahoo, & AOL – need to look at what’s happening in these countries. The latest data from Experian Hitwise shows that Bing chipped out some of Google’s share. According to Experian Hitwise, there’s a 5% increase in the market share of Bing for a one-year period (26.79% in May 2011 to 28.12% in May 2012). There was an increase of 3% for yahoo.com, and 7% for bing.com – both are Bing-powered. On the part of Google, 5% was chipped off from its total market share (68.11% in May 2011 to 65.02% in May 2012). Bing changed its UI in the early part of May this year. It could have some impacts in the traffic that it gained. The new interface is definitely better as compared to the previous one. However, before the interface changed last May, Bing was on a momentum already. According to the data released by comScore last May, Bing had a market share of 15.4% (as compared to 14.1 percent last year). The problem is that bing.com seems to gain some of it’s share not from Google alone but from yahoo.com. Some would say that Google will slowly loose its stronghold. While some say it is really here to stay. According to an article in marketingpilgrim.com, there is this Google habit wherein everyone seems to Google. The company enjoys a degree of loyalty which other search engines fight for. This is really hard to break considering the fact that it is already a habit for us to search anything using Google. 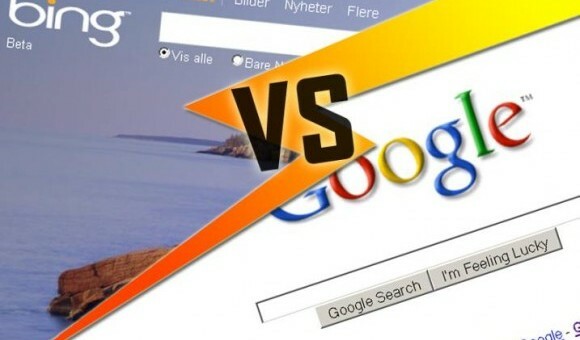 Google not only dominates the search results market but they are so aggressive in controlling other services – email, cloud, social media, maps, images, mobile services, etc. They’re everywhere. You can only imagine that your life is intertwined with all the services that they offer (except Facebook). There are some cases wherein Google cannot simple dominate due to some limitations – primarily language. We have Naver (South Korea), Baidu and Youko (China), Yahoo (Taiwan & Japan), and Yandex (Russia). Naver (derived from Navigate) was established in 1999 and from then on it became the main search engine choice for South Koreans – 70% of the market. According to an article from link-assistant.com, Naver was ahead of some innovations compared to other “mainstream” search engines. It released Knowledge In in 2002, way before Yahoo! Answers. Yandex accounts for 64.8% of search market results in Russia. Last year, it joined forces with Rambler, which accounts for 14% of Russia’s search market results. One solution to counter Google’s dominance is to develop something that understands a country’s culture well. Only a real grasp of how the people think and live can make search results better. I can only imagine this scenario because in reality we still depend on the use of English language (with it comes Google). In the case of Naver, the Korean language has a different syntax as compared to English that’s why Naver provides better search results. No need to say but Google is everywhere. For common web users like us, we just need to ride the flow. At the same time, we also have the option to actually use the search engine that fits our preferences. In this article, Ric explores the latest trend in the search engine market. Find more of his posts at Divorce Jupiter and Divorce Boca Raton.